“Where is justice?” “Where is stability?” “What can I do?” The body of the young Syrian boy washed up on the beach this past week and the thousands of refugees attempting to cross into the European Union challenge us and demand our attention, provoking questions. 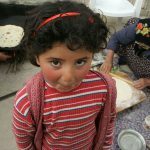 For the past two years, the Disaster Relief Committee at Church of God Ministries has been working with organizations and individuals in multiple locations in the Middle East, channeling relief funds to those working directly with refugees in Lebanon and elsewhere. 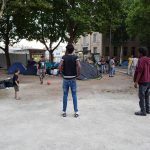 As refugees continue to make their way into Europe and other safer zones, we are currently working with our Global Strategy regional coordinators in Europe and the Middle East to connect with partners working with these groups. Since the start of the war in Syria in 2011, nearly 7.3 million Syrians have been displaced within the country, and another 3.8 million have fled the country according to the late statistics from the United Nations High Commissioner for Refugees. Please consider donating today to the Disaster Relief Fund. You can also send your donation to Attn: Disaster Relief, Church of God Ministries, PO Box 2420, Anderson, IN 46018. Be certain to clearly designate your gift to Project #45.04502. For questions regarding this and other disaster relief efforts in the United States and abroad, contact Stephen Lewis, 800-848-2464, ext. 2198.